*Chondroitin Sulfate US (Bovine, Porcine, and Shark) Chondroitin sulfate is commercially sold in the form of its sodium salt, namely chondroitin sulfate sodium. It is an ingredient in dietary supplements that are used widely for treating osteoarthritis, a chronic disease that occurs with the degeneration of joints. Chondroitin sulfate is made up of a chain of sugars and is typically found attached to proteins. This combination of molecules offers incredible structural strength. 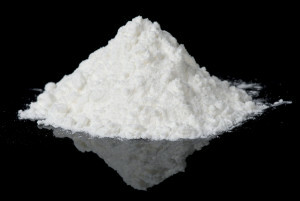 As a result, chondroitin sulfate is an essential component to cartilage (connective tissues in the body) due to its structure and its resistance to compression. Without chondroitin sulfate, no water or nutrients can move into and out of cartilage. The body produces chondroitin sulfate naturally; however, it is possible to be deficient in this vital supplement as it may be reduced in joint cartilages which are affected by osteoarthritis or other forms of arthritis. Because chondroitin is not a uniform substance, it is naturally found in many varieties of forms. Most chondroitin sulfate are made from extracts of animal tissues rich in cartilage. These include pig ear and nose, cow trachea, and chicken cartilage. Other more expensive sources come from shark and fish. Even though chondroitin sulfate is a prescription drug in 22 countries, it is regulated by the Food and Drug Administration in the US as a dietary supplement. Now there are United States Pharmacopoeia (USP) test standards for the identification and quantification of chondroitin sulfate.